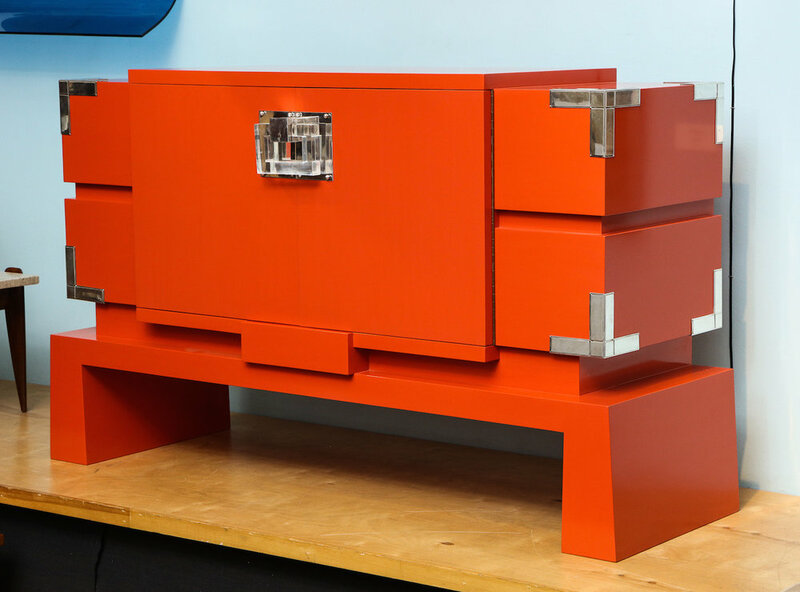 Outstanding cabinet designed by James Dolena and most likely built by Peterson Studios. 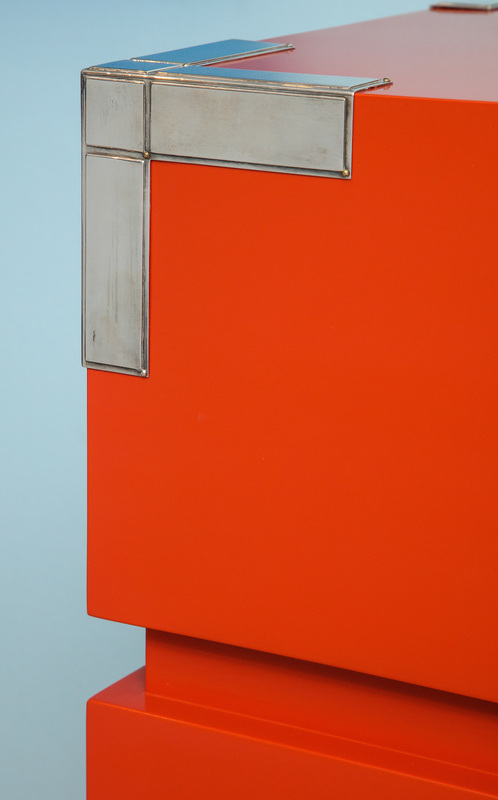 Two doors with one interior shelf, coral-colored lacquer, silvered-metal mounts, and thick lucite door-pull. Dolena was known as a modernist architect with a preference for classic detailing, and he occasionally designed furniture for his projects. Provenance: Private collection - Bel Air, CA. h. 37" w. 63" d. 21.75"